This week we continuing our exclusive Pets At Work interviews, with Keita, the rescue dog success story from hot wine company Vinomofo. Q: It might seem like a fantastic ride to be boss dog at one of Australia’s leading online wine merchants but I’m sure it was a long hard road - when did you get your first “big break”? As a former rescue dog, I was very lucky to have been adopted into the Vinomofo family in 2014. Although I have a small snout, I had quite the nose when it came to sniffing wines which was useful for all of the wine write-ups I was doing. From there on, I was promoted to social media assistant - it became apparent that my selfies and sassy copywriting had a paw-sitive effect on our mofos. Q: Could you please briefly describe your day at Vinomofo? – do you still get to have fun and frolic or is it all paperwork and staff management now that the business is so successful? As the top dog at Vinomofo, I’ve earnt my stripes. 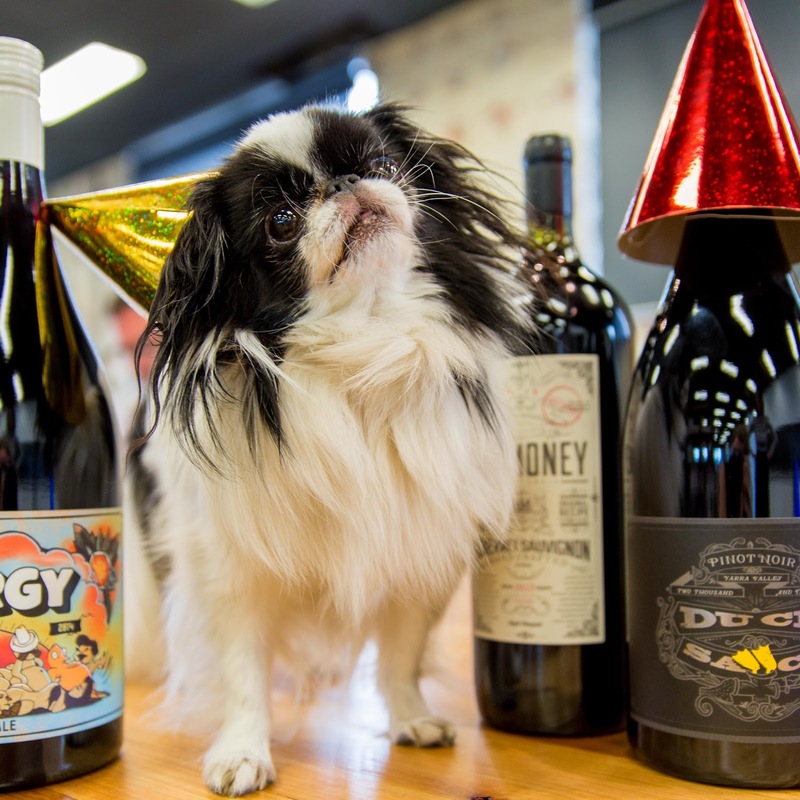 I’d like to think of myself as a people dog, I much prefer the company of my wine-loving humans than other dogs. 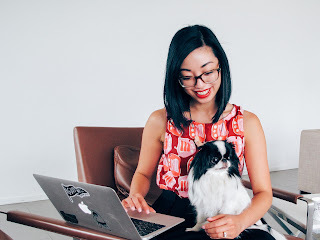 When necessary, I step in and oversee the social media strategy and ensure that my humans are on track but most of my days are spent napping, chasing my own tail and going for walks (and talks) outside with my marketing team. Q: Now that VM has got such a strong following – How does it feel? Is achieving such goal really more satisfying than a long sleep in the sunshine?? Two years ago, I was feeling quite hopeless. I was really sick and didn’t have much hope in the career stakes, I never thought I’d be employed by one of Australia’s leading wine start-ups. Today I have a new leash on life, who says you can’t enjoy a long sleep in the sunshine and also trend on Twitter? Q: What do you think is likely to be your biggest challenge for VM in the next 12 months? Q: Your person, Rosa, and the rest of the team at VM seem very passionate and driven. How do the two of you “stay connected” after a hard day at work together? Q: Keita, every successful dog has her “itch”. What’s your itch and how do you scratch it? Q: And finally, do you have any words of advice for the young pets (and their people) out there who are just starting their careers as working animals? If you want to make it in this dog-eat-dog world, be true to yourself, let your passion envelope you and make sure you're toilet trained before you apply for that dream role. Trust me, everyone will know it was you. For more on Keita, and her story, check out the Vinomofo Blog.